Fairfax County will pay the family of a man who was shot and killed by police almost $3 million to settle a wrongful-death lawsuit, county officials announced Tuesday. John Geer was shot by Fairfax County Police Officer Adam Torres after officers responded to a domestic dispute, county supervisors said. The suit had been brought by Maura Harrington, who lived with Geer and their two children. 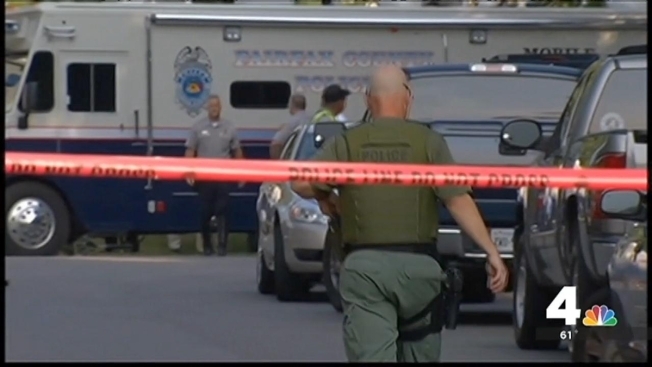 The shooting, on August 29, 2013, led to protests against Fairfax County police. It also led to the creation of a county commission to review police department policies and the release of information to the public. Torres told investigators he had seen Geer's hands go toward his waist, as if reaching for a weapon. However, Geer's father and other police officers said Geer's hands were held up. Fairfax County will pay the family of a man who was shot and killed by police almost $3 million to settle a wrongful-death lawsuit, county officials announced Tuesday. Northern Virginia Bureau Chief Julie Carey reports. "This nightmare will never completely be over," said Michael Lieberman, an attorney with DiMuroGinsberg P.C. who represented the Geer family. But, he added, the family "will sleep better tonight without anticipation of continued fights and litigation." The officer's name was only released after Harrington filed a suit, initially seeking $12 million. The settlement announced Tuesday was for $2.95 million. "It was a tragedy that should not have happened," said Sharon Bulova, chairman of the Fairfax County Board of Supervisors. "It was tragic for John Geer, his loved ones and his family, and, frankly, tragic for Fairfax County." She added that the county should "be able to look at what went wrong, and what needs to be done to change the way Fairfax County responds. And that's being done. "I hope this brings some closure to the John Geer family," Bulova added. Meanwhile, Morrogh has referred the case to federal prosecutors. The shooting "remains under a police administrative review process and criminal investigation at both the federal and state levels," Fairfax County officials said in a statement.